Our heavy duty scuff boards provide superior protection against puncture and impact damage to trailer walls. This durability aids in increasing the trailer's service life and reduces maintenance costs. Our scuff liner board is well suited for the aftermarket and trailer refurbishment industry. HDPE scuff liner is often used in place of wood or aluminum liners. In addition to our standard scuff board shapes, we offer the option for custom designed scuff profiles to accommodate specific trailer designs. 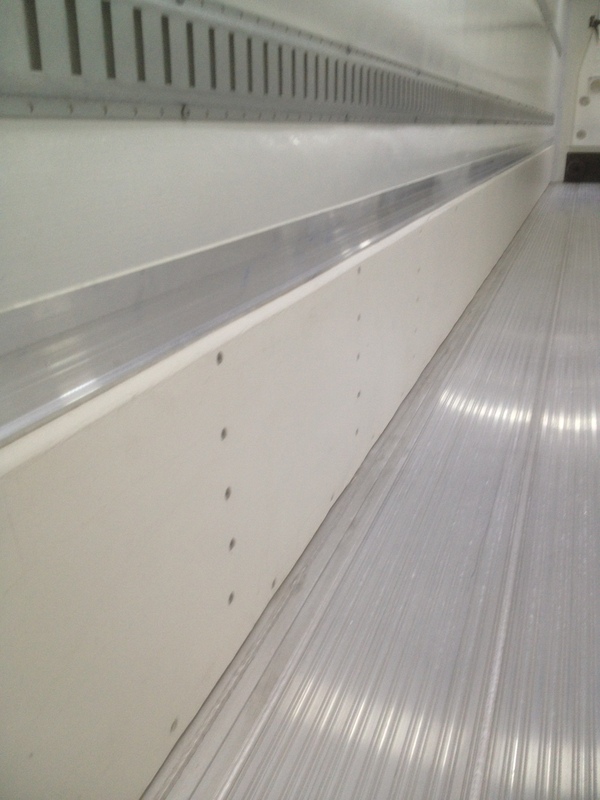 We are currently providing scuff boards for multiple OEM trailer manufacturers and aftermarket dealers. Our scuff liner is available in black or white colors.